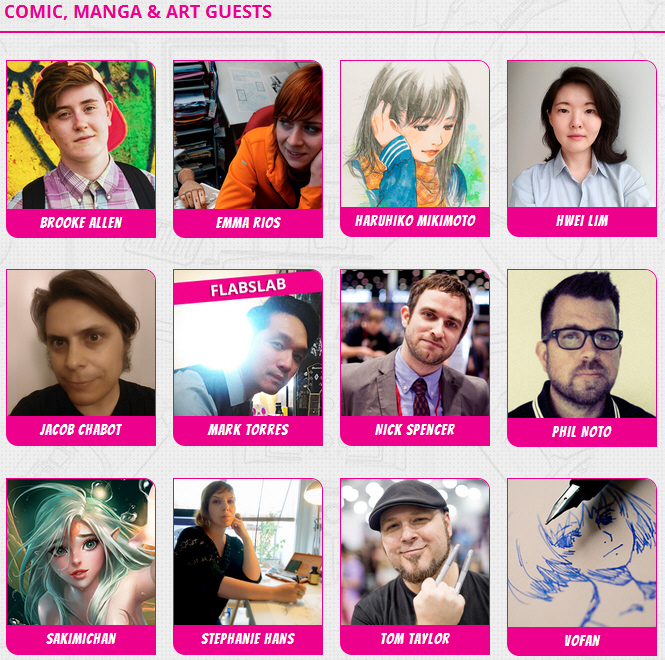 STGCC is around the corner and in case you haven’t heard, they have just revealed their full guests lineup! You can click here to view the individual guest’s profile. Or you can read the summary below. Check it out! First off, we have renowned comic book artist Phil Noto (Batgirl, Black Widow, Star Wars: Poe Dameron), award-winning toy designer Jon Paul Kaiser (Toy2R, Kidrobot) and the epochal Simone Legno (tokidoki). Artist and co-creator of the Eisner and Harvey award winning series Lumberjanes, Brooke Allen (Power Puff Girls, Adventure Time) will also make an appearance. Anime fans can look forward to meeting manga artist VOFAN (Monogatari, Bakemonogatari series), enjoy performances by nomico (“Mitsudomoe” ED theme song “Randselling”, “Hoshizora e Kakaru Hashi” theme song “Hoshikaze no Horoscope”) and groove to the DJ set of Masayoshi Minoshima (Bad Apple!!). Moving on, we have industry heavyweights such as Haruhiko Mikimoto, the amazing character designer for anime series Macross and Kabaneri of the Iron Fortress, insanely popular digital artist Sakimichan and Jacob Chabot, the writer for the Marvel Tsum Tsum STGCC Comic Variant and artist for childhood favourites like Spongebob and Hello Kitty. 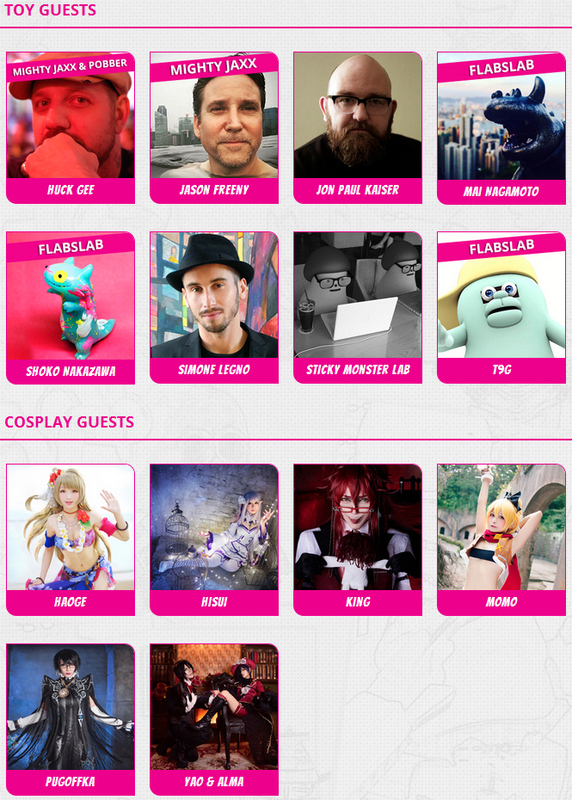 New to STGCC, is AKIBA POP STAGE, a celebration of pop culture in Akihabara, Tokyo. Look forward to performance by idol units and DJs, and party in true Akiba style! Lets not forget star comic book writers, Nick Spencer and Tom Taylor, both will be making their first appearance in Singapore! Cosplay fans can also experience the vibrant subculture as world-renowned cosplayers Pugoffka and the ever-versatile Haoge, grace our power-packed festivities! Ticking details can found over here. See you all at STGCC!